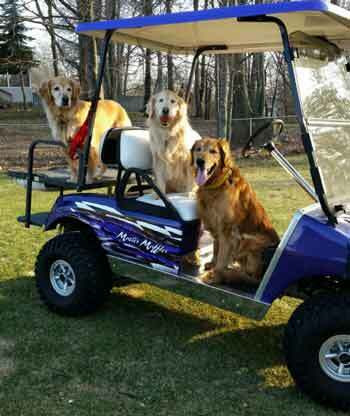 Next to our homes, our vehicles are one of our biggest investments. In today's economy, protecting and caring for that investment is important. You don't want just anyone to repair your car without knowing their reputation. 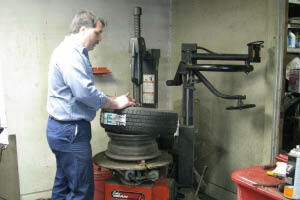 A local business you CAN trust is Master Muffler & Brakes of Ludington. 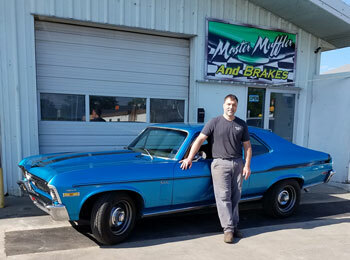 Curt and Karen Jolly have owned Master Muffler & Brakes since 2000, and their high volume of customers proves that they do quality work at reasonable prices. Their team of mechanics knows how to get your vehicle back on the road in the fastest time possible. Is your car sounding a little loud? It may be time for a new muffler or exhaust system, installed by Master Muffler & Brakes. Dual exhaust systems are becoming increasingly popular, due to their high flow performance and better gas mileage. Curt is the most qualified mechanic in this area that professionally installs custom dual exhausts, so you know it will be done right. Plus, it adds a nice look to the back of your vehicle! An off-center steering wheel, vehicle pulling or uneven tire wear in your vehicle might indicate that an alignment is needed. Get it done at Master Muffler & Brakes...they have the John Beam laser alignment equipment, an advanced technology that assures precise alignment. 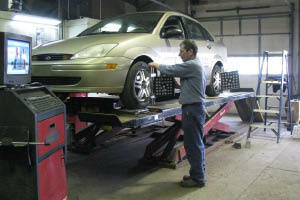 Certified mechanics John & Curt will have your car aligned and ready to hit the road. If your brakes are spongy or squeaky, drive right into Master Muffler & Brakes. They can identify the problem and set you up with new pads and/or rotors, which all come with a guarantee. Master Muffler & Brakes can also inspect your tires, inflate them to their proper weight to maximize gas mileage, or install new ones if your tread is low. Prompt, friendly service...quality car parts...and work you can trust. Curt, Karen, and their staff invite you to bring your vehicle into Master Muffler & Brakes, where satisfaction is guaranteed.